Stampbord is made from clay-coated claybord panel and is a phenomenal surface for rubber stamping, collage, and a variety of craft and fine art projects. 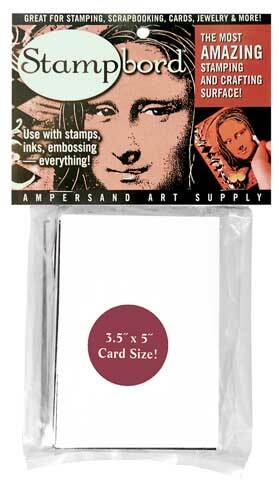 The absorbent surface gives rubber stampers a clean, pristine image every time. The surface can also be scratched into to create incredible details and highlights, unlike any other stamping surface on the market. The surface is correctable and erasable, great for card making, jewelry, magnets, altered books and much more.